For most people a video call such as MSN or Skype, Google+ hangout or a video chat is something occasional. And when you want to start one, you need a webcam. But why spend money for a separate webcam when you can easily use your android phone’s camera as a webcam? The process involves streaming video from your phone to a particular port on your PC and having a PC driver software capture it and provide it as webcam video to any application that needs webcam access. Don’t get scared with the details. Its actually very easy and there are two ways to do it. 1. Use your android phone as webcam using Wifi. The default options are good enough, so scroll down and click on he “Start server” option. That’s it. Now open Skype, Google+ hangout or any other video call application and for the video section, choose the webcam driver you just installed and start it. Here’s a Google+ hangout with my android as webcam in Linux. 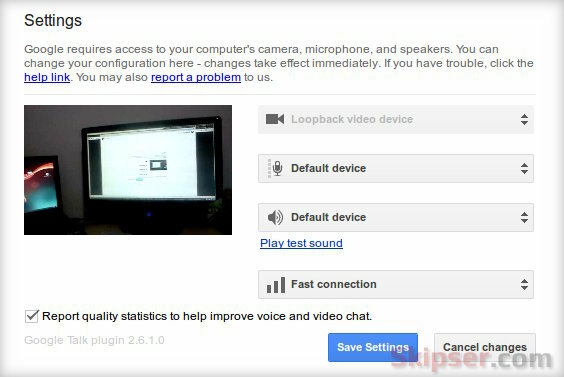 Tip: For Linux, disabling sound in IP Webcam settings could make the driver not to work. 2. 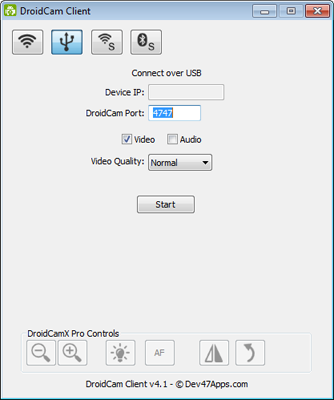 Use your android phone as webcam using USB. That’s it. 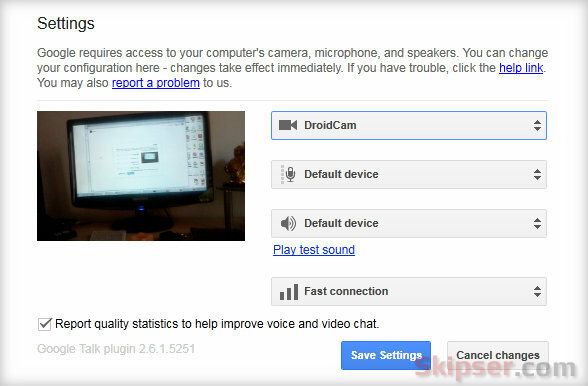 DroidCam will now open the camera on your phone and you can use it as webcam on your PC. 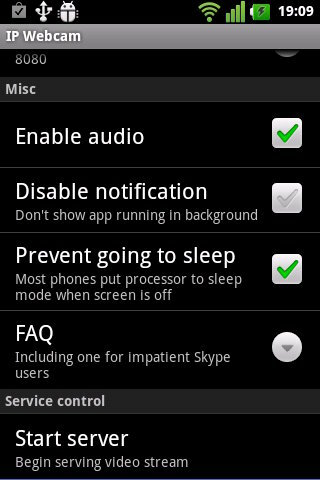 Just configure the video settings of your video call application to use “DroidCam” driver. Here’s my Google+ hangout with video from my android phone connected via USB.